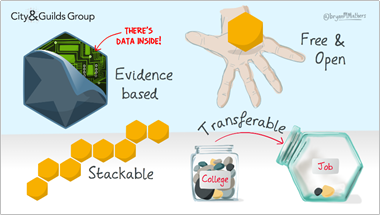 Getting serious about digital credentials & open badges. The City & Guilds Group has a proud 138 year heritage in the development and issuing of trusted credentials. Constantly evolving to meet the ever changing needs of employers and industry to ensure that we recognise the most relevant knowledge, skills and competencies in our qualifications. Helping people into a job, progressing on the job and moving into the next job. We are trusted by thousands of approved training organisations and employers in over 80 countries to certificate millions of individuals every year. 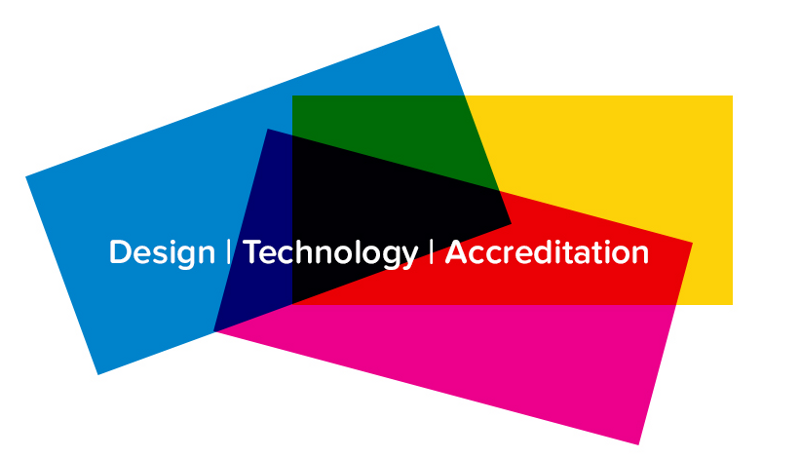 As such, we have been following with great interest the exciting developments of digital credentials and in particular the open badges standard and movement in what it can do to enhance life-long recognition of talent and achievements in a truly 21st century way. In early 2015 we piloted our first blended learning and open badge credentialing solution, Workplace Skills. Which is now a key part of our TechBac programme, helping to re-imagine professional and technical education and creating a richer picture of an individual at 18 years old. The City & Guilds Group then followed this in March 2016 when we announced our investment into Credly, a US-based digital credentialing provider, as part of our New Venture Fund. Today, we’re delighted to have announced that the City & Guilds Group is establishing and investing in dedicated business unit focused on digital credentialing. We were able to make this exciting move after Digitalme and Makewaves today become a key part of the Group. That new business will be known as Digitalme. Open standards will be essential in creating a global and interoperable ecosystem that will allow us to be part of something truly game-changing. 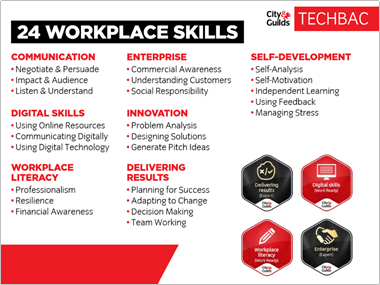 City & Guilds Group’s role will focus on high-quality, relevant and trusted credentials which make the biggest difference in individual’s life and career. Developing commercial products and services to accelerate adoption by enabling organisations to create and issue their own high quality credentials to individuals. I’ll flesh out what this means in practice in a series of posts over the coming weeks and months, along with my new colleagues Tim Riches and Mark Riches. Tim and Mark, as well as everyone at Digitalme and Makewaves, have done an amazing job at taking the idea of Open Badges, driving advocacy and running with it. The Makewaves platform is a thriving community of thousands of schools sharing their creativity and raising achievement with badges. Meanwhile, their recently-launched Open Badge Academy already has successful badge academies being created and used by well-established universities through to forward-looking brands such as 02 –Telefonica in helping to bridge the gap between education and employment. I can’t wait to get started in working with Tim, Mark and their passionate teams in seeing how together we can accelerate the adoption of open badges — including greater collaboration with Credly — so we can tell the richer picture of people’s lives through trusted digital credentials. Fulfilling in new and innovative ways the purpose of the Group in helping people and organisations to develop their skills for personal and economic growth . Finally, I’d like to thank those at Mozilla (both past and present) and the members of the Badge Alliance for their ongoing stewardship, innovation, and open ways of working. I am looking forward to this being the start of an exciting journey together.